Having used quite a bit of different herbs in my cooking recently, today I found my fridge looking like a jungle. As I do not have a beautiful garden à la Jamie O. or James Martin where to transfer them, it was time to take some serious cooking action. The first two herbs to catch my attention were sage and tarragon. The first fresh carrots have recently hit the stores in Helsinki and I thought that it could be a nice idea to combine them with either of these herbs. For further inspiration, I started browsing the web for Italian recipes with carrots and either of the herbs. It seemed that Italian chefs are not very inspired by carrots at all (who can really blame them though when they have such a wide range of veggies from artichokes to yummy plummy tomatoes available!). I couldn’t find as many recipes as I usually can by adding a name of vegetable and one of the most frequent hits was the good ol’ “Italian classic” called carrot cake! However, another carrot recipe that did get frequent mentions on Google was a dish called carote al latte. I chose this recipe since it also included a herb: parsley. Unfortunately parsley was pretty much the only herb that hadn’t found its way to the green wilderness of my kitchen within the past few weeks. I wanted to substitute that with either that tarragon or sage but couldn’t really make up my mind on which to use. Hence in the true competitive sprit of World Cup 2014, I decided to split the carrots into two teams and set up an exciting race between “Team Tarragon” and “Team Sage”. “Team Tarragon” had a slightly weak start as I couldn’t really taste the tarragon in the otherwise fabulous sauce at all. Thus, it was quickly overtaken by “Team Sage”. Yet as the race went on I started to wonder if the flavour of sage was in fact slightly too overpowering. “Team Tarragon” stepped up its game by making me gradually appreciate its more subtle seasoning. The finish line was approaching and the competition was getting fiercer and fiercer… Finally, all I can say it was really a tie between the two teams. The only thing I do know for sure is that I ate those carrots in record time! P.S. 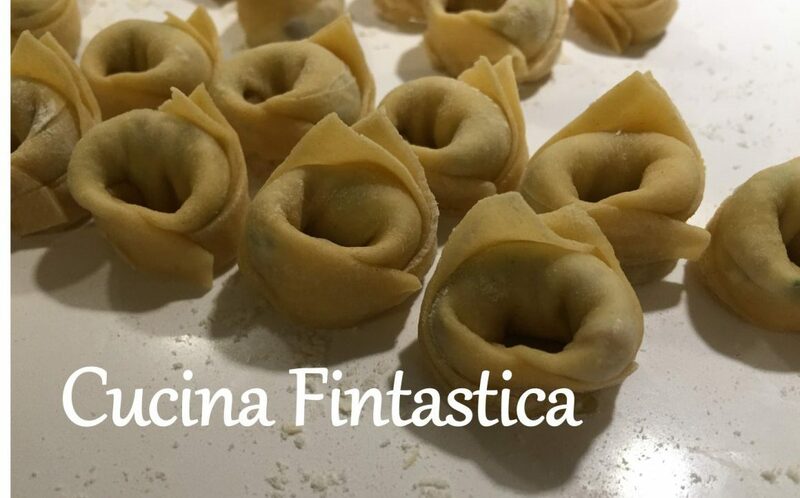 On World Cup 2014, I’m sure it goes without saying that Cucina Fintastica naturalmente supports Gli Azzurri! Clean and slice the carrots. Heat the butter in a pan. Once melted, add the carrots and gently fry them for a few minutes. Add the pepper, wine and water. Let the mixture cook until the wine and water have evaporated/ been absorbed by the carrots. Pour the milk into the pan and continue cooking at a low heat until almost all of the milk has also evaporated. Season with salt and a chopped herb of your choice.